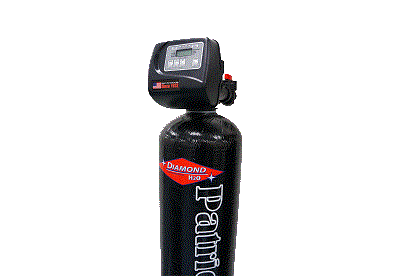 All Diamond H2O® water softeners go through third party validation. TG Analytical Labs certifies each product using national standards (i.e. NSF/ANSI 44) to verify that our water softeners performance exceeds these standards. Microprocessor panel settings that are easy to access and give you valuable performance feedback and historical information about how your system is operating. This includes time of day, days until next regeneration, volume remaining, current flow rate, and total volume used (totalizer), and tank in-service indication. Six cycle controller with adjustable cycle times. Coin cell lithium battery backup with an 8-hour carry-over. Co-Current Down flow softened water regeneration. 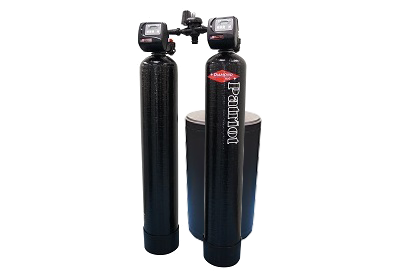 Two dual-walled seamless, corrosion-proof polyethylene/fiberglass resin tanks house Diamond H2O®’s exclusive DHER-2 commercial grade resin. One durable, corrosion resistant high-capacity salt storage tank. New, fully programmable regeneration cycle time allows you to easily fine tune your water conditioning system’s operation for specific water applications. Option of automatic or manual single/double regeneration ensures that exhausted resin beds are always completely regenerated for the highest quality of soft water. Two front mounted easy touch keypads and large, easy to read displays that alternates between TIME OF DAY / GALLONS REMAINING so you can efficiently access any information you need. Calendar override option allows you to regenerate the water softener based on days between regenerations instead of gallons used, for situations where time based regeneration is necessary. Simplified electronic, fully programmable control that makes it easy to program to accommodate to a specific water hardness. Large, easy to read display that alternates between Time of Day and Gallons Remaining. 28-day water usage memory that automatically adjusts its reserve capacity to accommodate water use fluctuations. 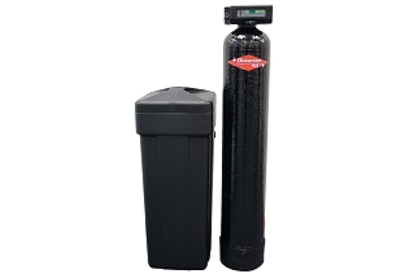 Water softeners are exchange systems, in that they exchange ions in the water. Calcium (Ca2+) and Magnesium (Mg2+) are the ions that cause hardness in water. 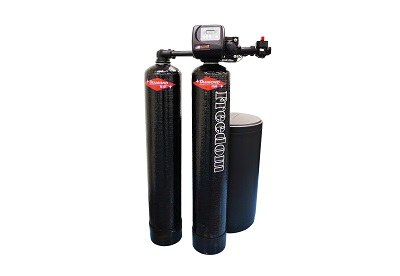 Sodium (Na+) is the ion that a water softener uses to replace the calcium and magnesium ions with, resulting in soft water. 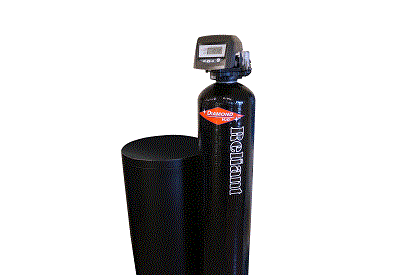 Resin inside the water softener is used as an exchange medium. The resin loosely holds the Sodium (Na+) ions which are exchanged with Calcium (Ca2+) and Magnesium (Mg2+) ions. Once the resin becomes coated with the calcium and magnesium ions, it must be regenerated and flushed out. The resin can now remove Calcium and Magnesium again. 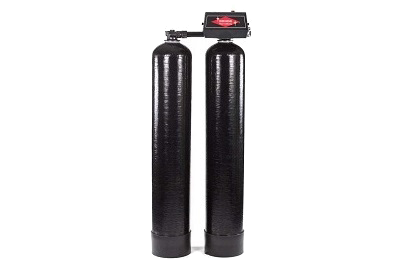 To find out more information about how our water softeners could benefit your home or business, and to request a quote, contact us at 920-757-5440.